It has been a few weeks since I last blogged and I have so many beautiful weddings to share. Christy and Dan's gorgeous celebration has been hiding away for far too long and is just too beautiful not to share. When I first met Christy and Dan they had a vision. 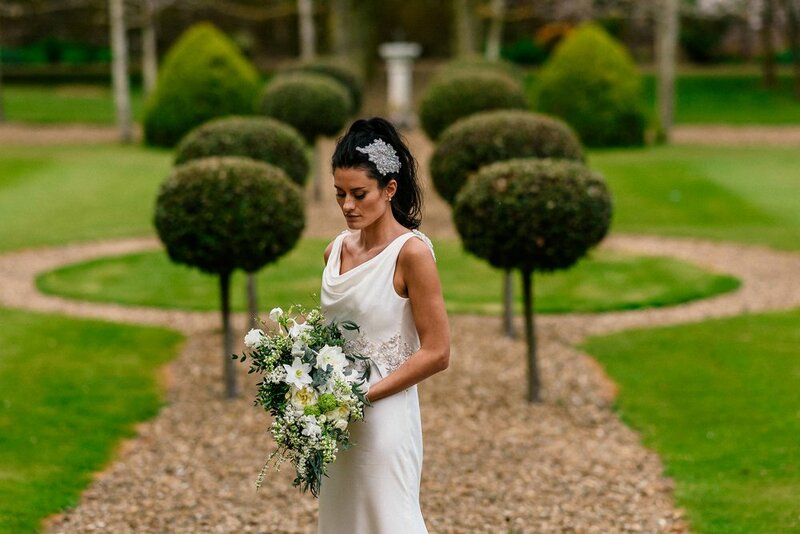 They were having an elegant and classical Spring wedding at Chicheley Hall and wanted their flowers to reflect and work with this look. 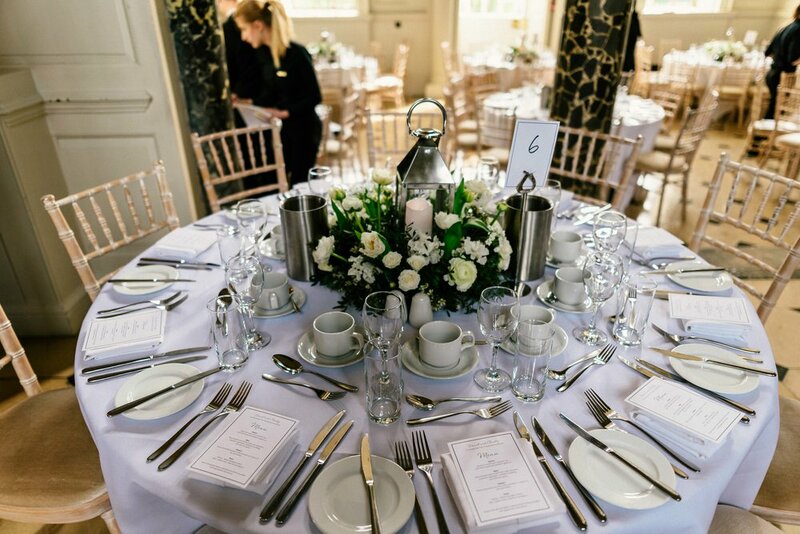 We went for a fresh green, grey and white colour palette and really went to town using the prettiest Spring flowers. Christy and Dan's flower palette consisted of ranunculus, spirea, tulips, white lilac, guelder rose, eucharis and some early duchesse de memo peonies and sweet peas. The peonies, lilac, sweet peas and eucharis smelled gorgeous. Christy's bouquet was a long line freeform bouquet. Packed full of blooms this piece was full of texture, scent, trailing greenery and delicate spirea. This type of bouquet can be held horizontally or vertically - either way it looks fab. 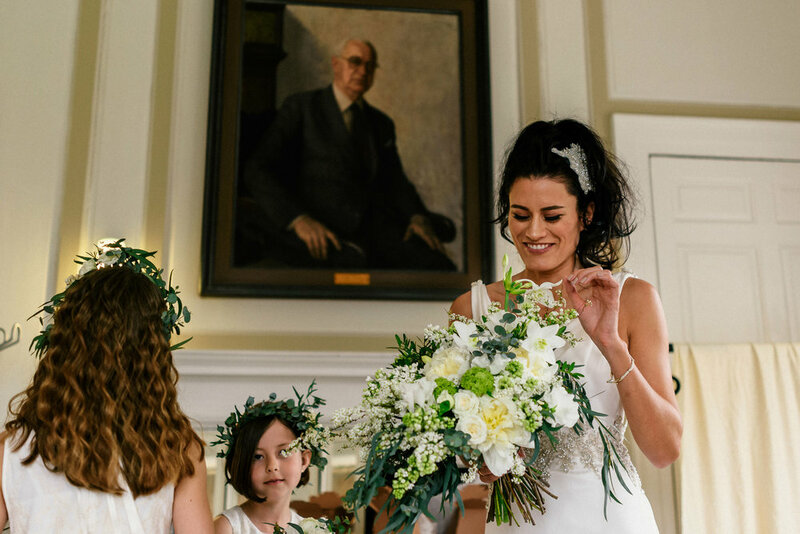 The bridesmaids carried small posies and the gorgeous flower girls each wore greenery crowns with tiny floral accents. From the bouquets onwards we went to town with the flowers. 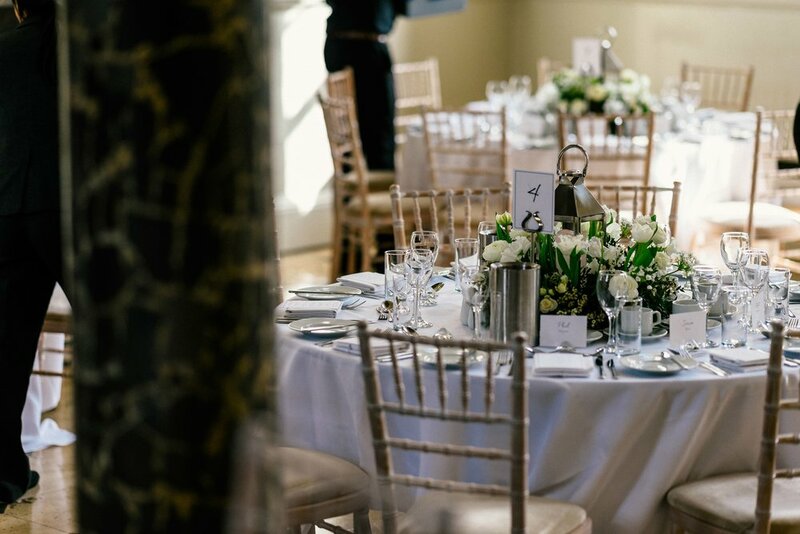 The grand sweeping staircase, the ceremony room, the reception tables, the table plan and the cake were all decorated with most beautiful white and green blooms. 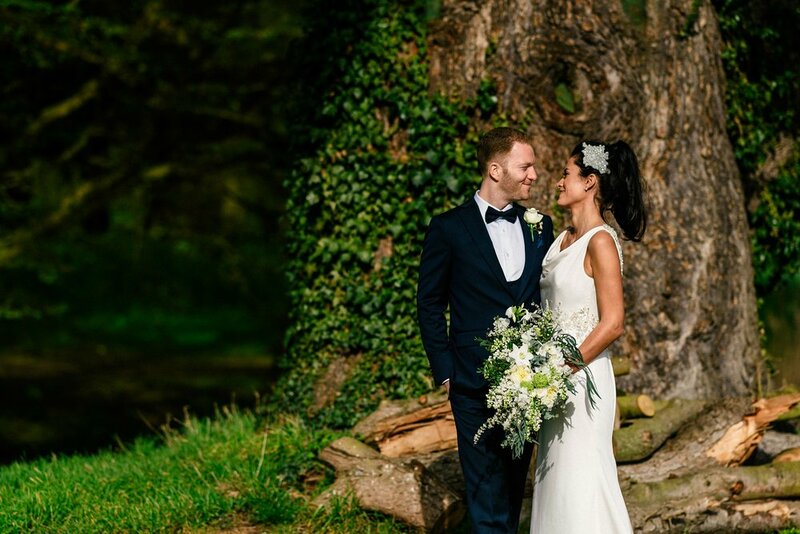 A lovely natural background to a stunning wedding.